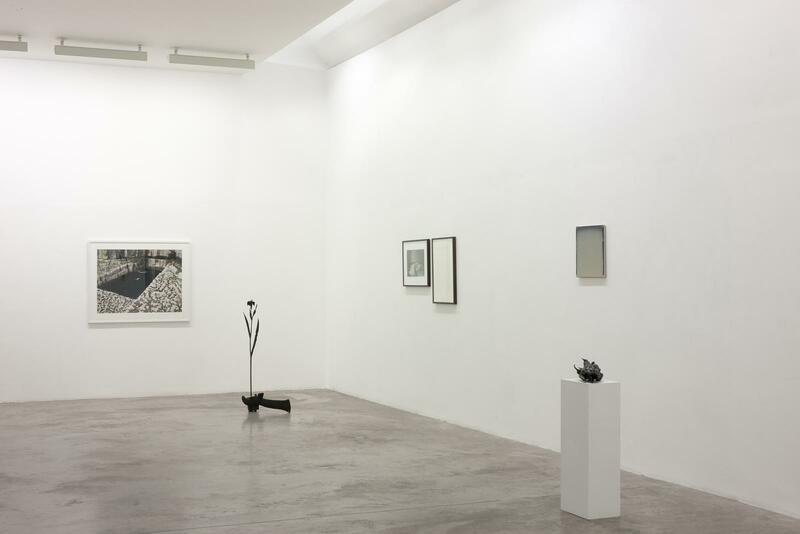 Kerlin Gallery are pleased to announce the exhibition ‘POOL’ by Dorothy Cross & William McKeown. 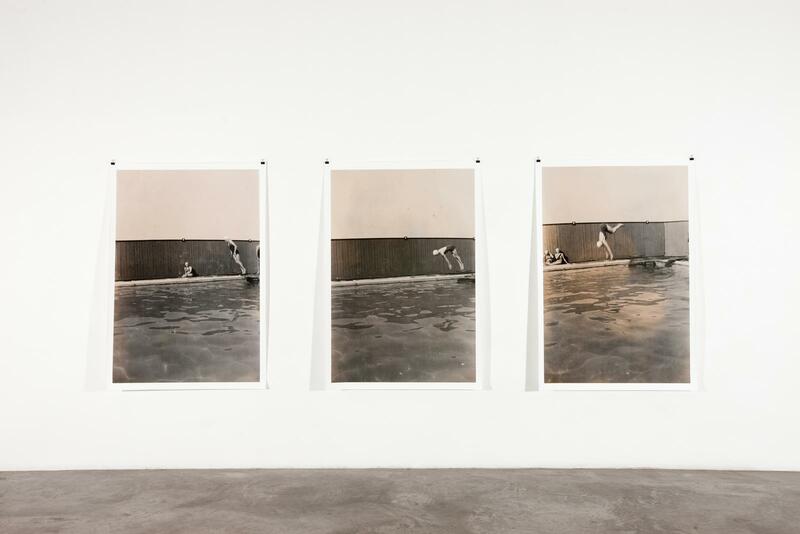 'POOL’ is an exhibition of works by two artists, whose work manifests in very different forms but who nevertheless share similar sources of reference and inspiration. 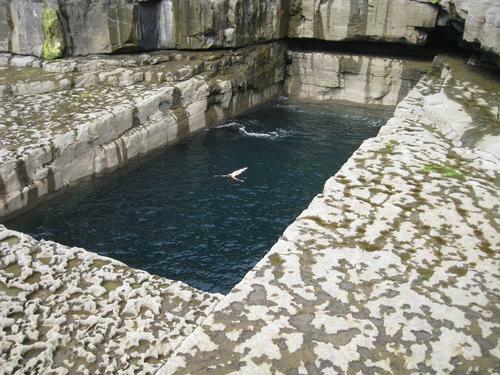 In this case it is the human biological affinity to water that provides the common ground; from such actions as sitting in a bath, drinking a glass of water, diving into a pool or sitting on the shore looking at the ocean. 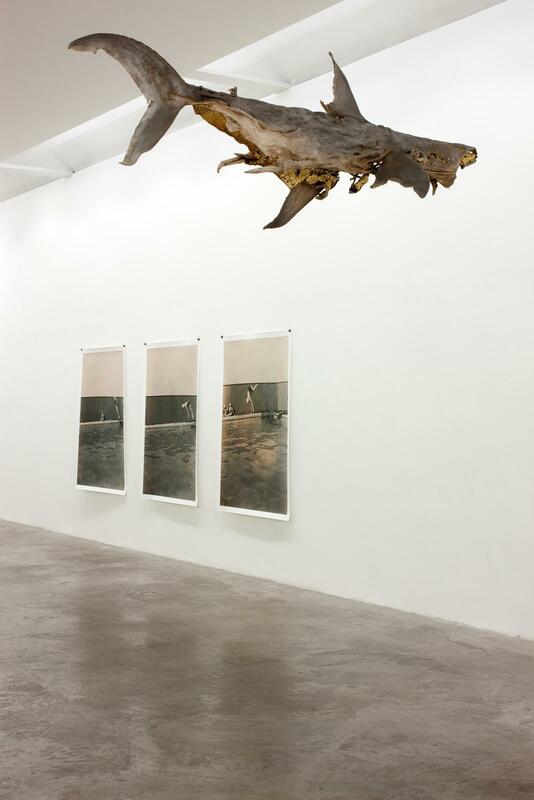 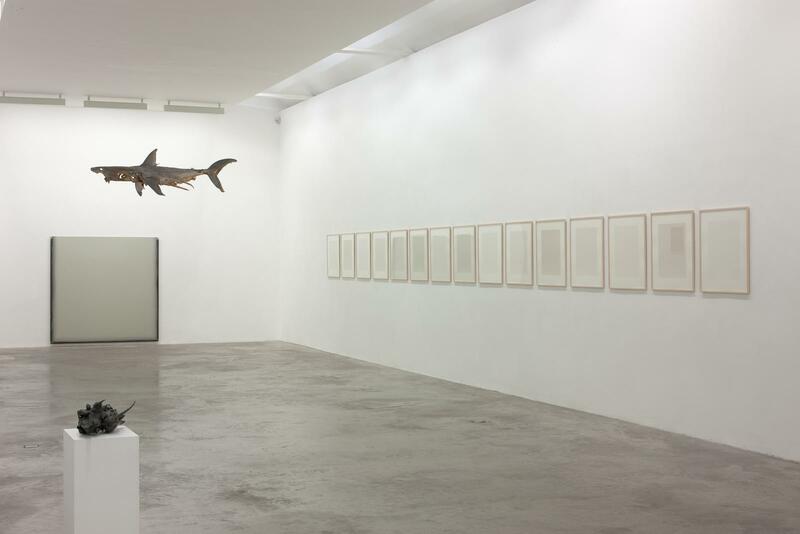 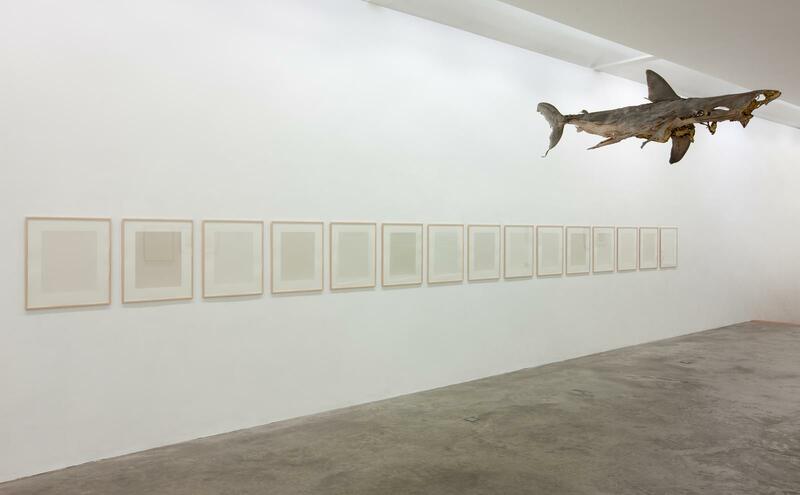 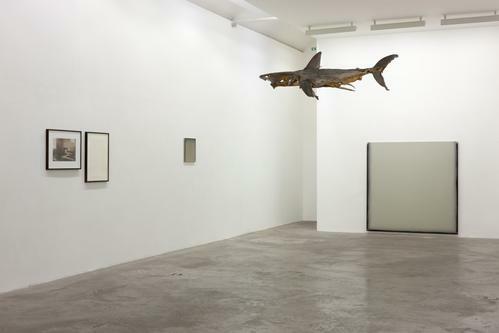 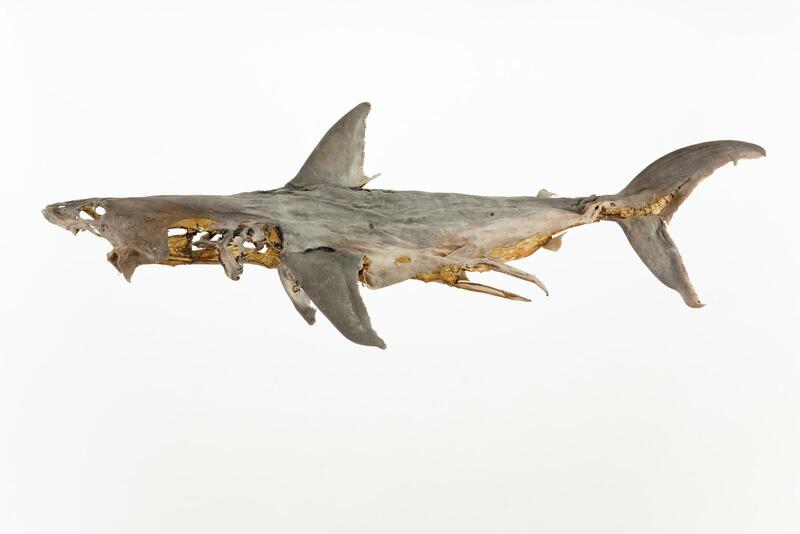 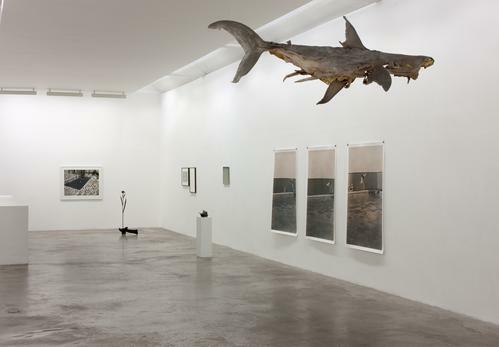 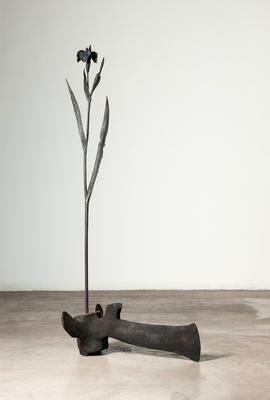 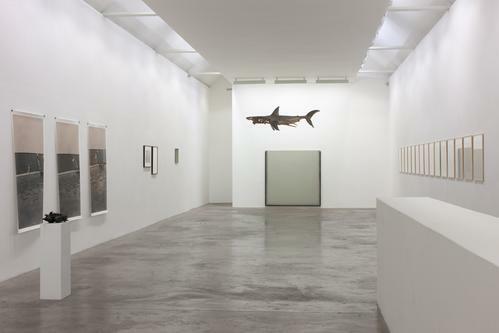 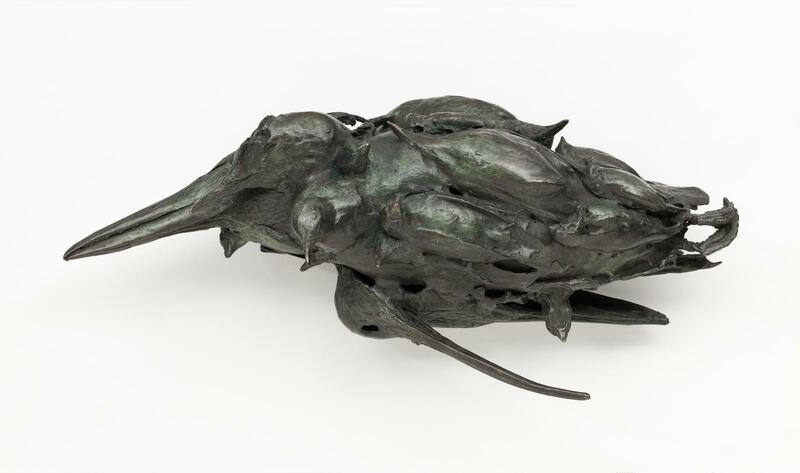 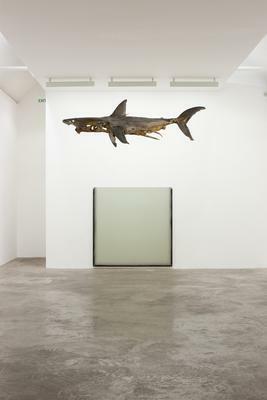 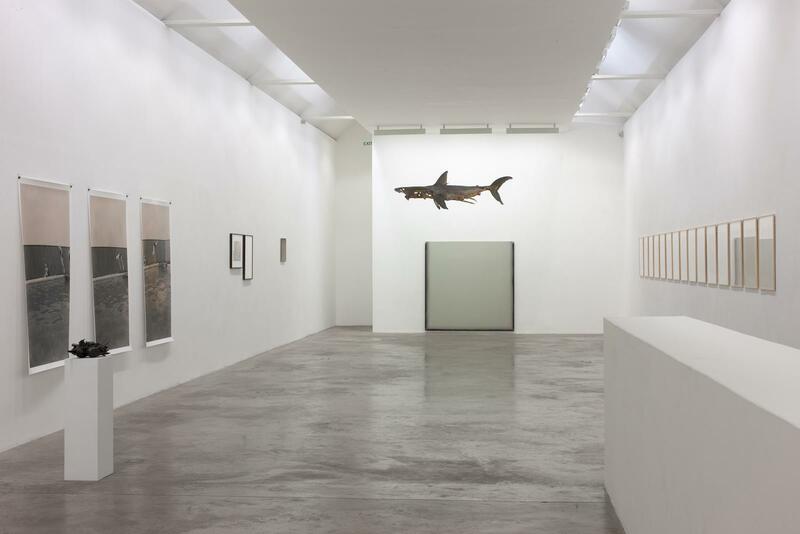 This elemental relationship has historically been at the heart of each artist’s practice and on this occasion has resulted in a wonderfully poetic body of work employing a diverse range of mediums; from the delicate watercolours on paper of McKeown to Cross’s suspended shark skin gilded inside with 21 carat gold. 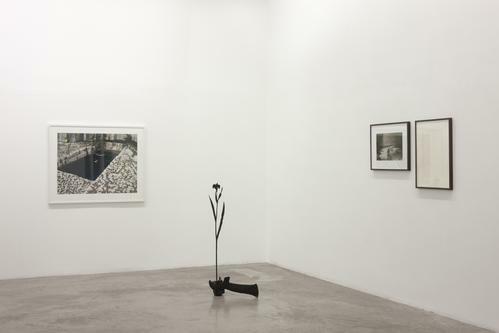 Cross has participated in numerous solo and group shows both nationally and internationally including the 1993 Venice Biennial, the 1997 Istanbul Biennial and the 1998 Liverpool Biennial. 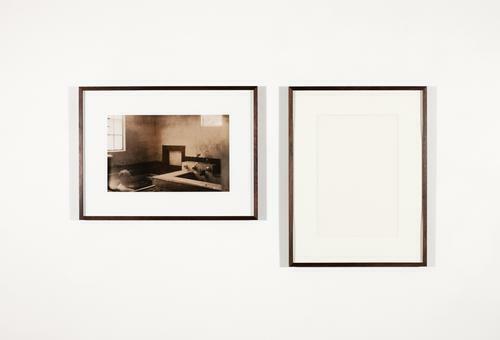 She had a major retrospective exhibition at the Irish Museum of Modern Art in 2005 and most recently has taken part in several group exhibitions marking the legacy of Charles Darwin, most notably ‘Stage’, Shrewsbury Museum and Art Gallery (2008) and BALTIC Centre for contemporary Art, 2009. Her work is included in the collections of the Irish Museum of Modern Art, the Norton Collection, Santa Monica, Art Pace Foundation, Texas, the Goldman Sachs Collection, London and the Tate Modern, London, among others. 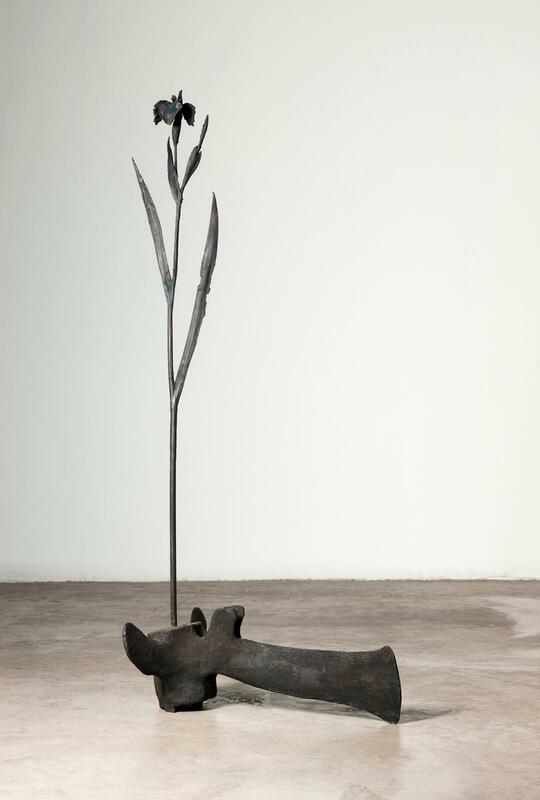 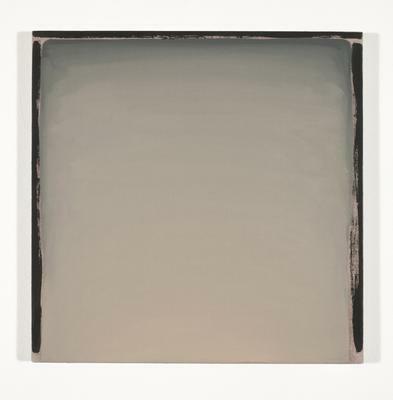 McKeown’s solo exhibitions include Irish Museum of Modern Art 2009; Douglas Hyde Gallery Dublin 2001; Ormeau Baths Gallery Belfast 2002 and Project Arts Centre Dublin 2003. 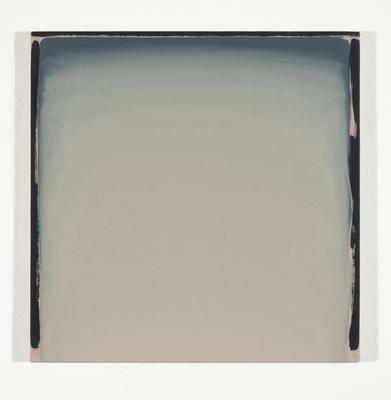 He has participated in a number of group exhibitions including the 51st Venice Biennale, 2005; 'The Sea & The Sky' at the Royal Hibernian Academy, Dublin and Beaver College Art Gallery, Glenside, Pennsylvania, 2000; 'A Measured Quietude' which toured the Berkeley Art Museum, California and The Drawing Center, New York in 1999/2000 and 'East International', Norwich, and 'Residue' at the Douglas Hyde Gallery, Dublin, both in 1997. 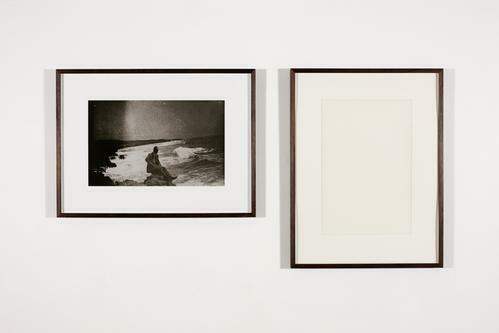 McKeown will be exhibiting in a two person show with American artist Felix Gonzalez-Torres , ‘A certain distance, endless light', at Middlesbrough Institute of Modern Art from 5 March - 4 July 2010.